For you, Vale means opportunity. 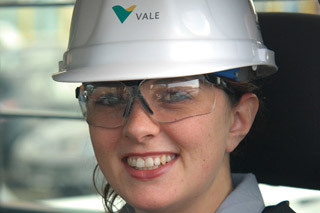 At Vale, there are many ways for you to apply your education, skills and technical expertise in rewarding jobs in your field. Explore the diversity of positions we offer within Canada and see where you might fit in. High-profile leadership programs for Supervisors, Managers and Senior Leaders. Opportunities across Canada and internationally. We would be honoured to have you share your talents with Vale. Vale is proud of its total rewards offering. But what does it mean? Vale also provides a scholarship program for the children of employees and pensioners in Canada. Since the program started in 1956, we have awarded more than $5 million in university scholarships to deserving young scholars. Supervisor, Production, Ontario, Canada Hot! Welder Fitter, Ontario, Canada Hot! Senior Analyst OT/Automation, Ontario, Canada Hot!